Two dozen parliamentarians from 17 countries will come out in support of the Israeli government’s Iran policy during an annual Sukkot gathering for pro-Israel Christians this week. 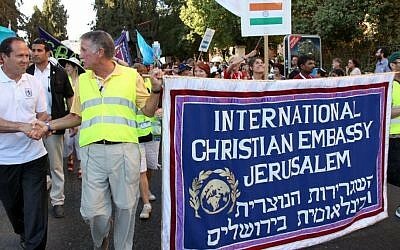 Thousands of evangelical Christians come to Jerusalem each fall for the International Christian Embassy’s annual Feast of Tabernacles, a show of support for Israel on the part of some the country’s staunchest allies. This year, for the first time, 25 parliamentarians belonging to the Israel Allies Foundation are expected to attend the festivities as well. Headed by Benny Elon, a West Bank settler leader and former Cabinet minister, the foundation is a consortium of pro-Israel lawmakers from around the world. During a press conference on Wednesday in Jerusalem, the lawmakers will release a formal resolution proposing “a solution to combat the Iranian nuclear threat,” according to a statement from organizers. 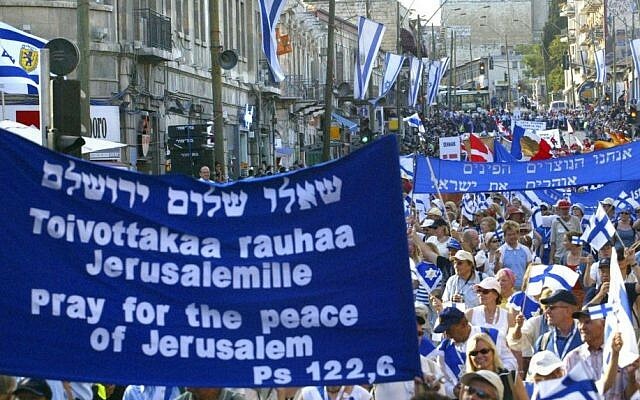 “Representatives of the Israel Allies Foundation’s governmental caucuses will come to Israel for a two-day conference that focuses on turning Biblical support into political support for Israel,” according to the statement. Lawmakers expected to sign the declaration hail from the US, Canada, Brazil, Finland, Netherlands, Slovakia, Germany, Italy, Macedonia, the Philippines, Portugal, South Africa, Uruguay, Portugal, United Kingdom, Estonia, Hungary and Spain. But while Yedioth Ahronoth reported Tuesday that the parliamentarians would propose “adopting the Canadian model” — referring to Ottawa’s recent decision to expel Iranian diplomats and cut all relations with Tehran — organizers told The Times of Israel that such a move was unlikely. “We will certainly support Prime Minister Benjamin Netanyahu and the Israeli government in their calls for red lines [for the Iranian nuclear program] because we see in them an effort to prevent war,” said David Parsons, the media director of the International Christian Embassy, which is co-organizing the event. Most countries, even steadfast allies of Israel, are widely expected to maintain their diplomatic relations with Tehran, despite the international sanctions against the regime aimed at ending its nuclear program. Public Diplomacy and Diaspora Affairs Minister Yuli Edelstein is scheduled to attend a press conference held by the foundation on Wednesday. According to the International Christian Embassy, the annual Feast of Tabernacles draws some 3,000 visitors from across the globe. 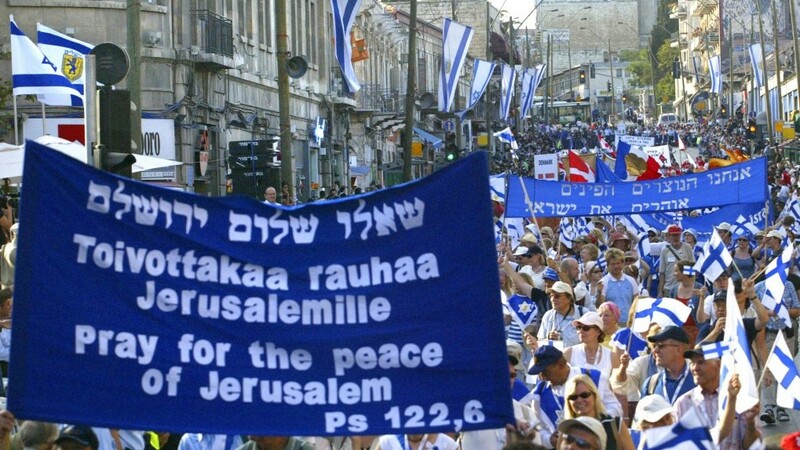 The Israel Allies Foundation, which has offices in Washington, Brussels and Jerusalem, is an outgrowth of the Knesset Christian Allies Caucus, created in 2004 by MKs from across the political spectrum. In 2006, the U.S. House of Representatives formed the Congressional Israel Allies Caucus, which has since been followed by pro-Israel parliamentary groups in countries such as Uruguay, South Africa, Finland, Japan, South Korea, Malawi and others.